Registered nursing graduates have a difficult time finding a job if they don’t have a bachelor’s degree. For many years, the associate’s degree in nursing (ADN) has held its position as the benchmark for practice, but a paradigm shift in the industry is causing more hospitals to expect a higher level of education from their RNs. As the emphasis shifts to preventative and patient-based primary care, many hospital institutions will require their RNs to hold a BSN degree or higher. 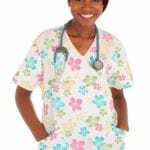 Several factors influence the rise in demand for nurses to be prepared at the bachelor’s level. The Magnet Recognition Program is an elite status that helps hospitals compete and attract more consumers. One critical requirement for attaining Magnet status is for hospitals to place only BSN-prepared (or higher) nurses in leadership roles. The Institute of Medicine report also caused a major stir in the sector. The 2010 report made a strong call for 80 percent of the nursing workforce to hold a bachelor’s degree or higher by 2020. The report was a direct response to a survey that linked higher nursing education to better patient outcomes. The Affordable Care Act is another influential factor as it places more focus on preventative and chronic care, which requires nurses to have better leadership and coordination skills. These essential skills are not typically covered in an associate’s degree curriculum. 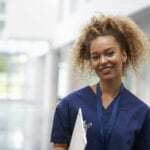 Although some hospitals will hire registered nurses with an associate’s degree, they will expect them to complete a bachelor’s degree within a stipulated timeframe – usually within three to five years. A BSN program covers more ground than an ADN. Students benefit from additional instruction in communication, leadership, critical thinking, public health, research, and social sciences. They may also develop a wider scope of clinical skills than those in an associate’s degree program. At the program’s conclusion, BSN graduates are equipped to fill a larger role in more areas, including education, research, public health, administration, and consultation. With the wider scope of study, it should come as no surprise that the BSN degree requires a larger investment of time and money. Full-time students can complete an ADN degree in nursing in approximately 24 months while the BSN degree will require an additional two years of study. Both sets of graduates are eligible to take the NCLEX exam and achieve the same title of a registered nurse. Despite the additional commitment, more students are pursuing the BSN option. Nationwide, there has been a 20% increase in BSN-credentialed nurses between the years 2008 and 2013 – this according to the American Association of Colleges of Nursing. The numbers are expected to rise as more ADN-prepared nurses face difficulties finding work in hospitals and other healthcare institutions. Many still have a hard time paying for four years of college – even with all the incentives for students to pursue nursing. However, nursing has an accommodating career ladder that allows those who cannot afford a baccalaureate education to complete the associate’s degree then enroll in an RN to BSN program to get the extra training. LPN to BSN: As employment for licensed practical nurses shifts from acute care to long-term care, many LPNs are finding themselves displaced. The volume of LPNs in a hospital setting has gone down in hospitals and other acute care settings. LPNs who want to maintain their positions in acute-care facilities may be forced to upgrade their education to work in the complex care environment at the nation’s hospitals. BSN degree programs will give credit for prior education and experience allowing LPNs to start the program in an advanced standing. Program graduates must take the NCLEX exam for registered nurses to obtain an RN license. RN to BSN: Through the Oregon Consortium for Nursing Education (OCNE) registered nurses in Oregon are able to transition seamlessly from an associate’s degree to bachelor’s degree in nursing. Graduates of a partner school can complete the requirements for a bachelor’s degree in just three semesters. Traditional BSN: The traditional four-year BSN program is a longer and more expensive route to registered nursing. However, for many, it is worth the investment if it leads to a lucrative position in healthcare or a chance to make a difference in the lives of patients. Associate degree nurses have a wait time of 8 to 16 months to secure employment after graduation due to higher educational expectations for nurses. BSN nurses have a better chance of finding jobs after licensure. Fast-track BSN: The fast-track BSN gives professionals with a bachelor’s degree in another field to earn a bachelor’s degree in nursing in 4 to 6 semesters. The applicant’s bachelor’s degree must be from an accredited institution to transfer the general education and science courses. Graduates are eligible to take the NCLEX exam to become a registered nurse. Oregon statutes require graduates of nursing programs to apply for the NCLEX-RN and licensure from the Board of Nursing to practice within the state. The BSN program must be accredited by a national accrediting agency. Registration for the NCLEX is available on Pearson Vue’s website. BSN students develop critical patient care skills through learning experiences gained inside and outside the classroom. The training prepares students for success on the NCLEX and employment in acute care, home care, hospice, pediatrics, emergency, cardiology, and long-term care. Classroom lectures and clinical experiences cover nursing topics such as the foundations of community-based nursing, professional communication in healthcare, evidenced-based nursing, nursing care of clients and families across the lifespan, mental health and illness, transition in health and illness, nursing leadership, clinical pathophysiology, and population-based nursing. The clinical experiences will take place in acute care, community care, and long-term care facilities. At the program’ conclusion, graduates can function as capable providers of direct and indirect care, meet the health needs of individuals, families, and communities, a patient education and advocate, a designer, coordinator, and manager of care, and a critical and creative thinker. Graduates also have the foundational knowledge for graduate study and a commitment to lifelong learning. Seek admission to the school as a degree-seeking student. Meet all the prerequisite course requirements. Apply for and pass the admission exams. Submit a completed application to the department of nursing. BLS for Healthcare Providers, a criminal background check, physical exam. TB test, and immunization are common requirements for participation in the clinical experience. A growing number of people who have or will have a bachelor’s degree in a non-nursing field compels nursing programs to offer the second-degree or accelerated BSN. Graduates of an accredited bachelor’s degree program are able to dive into the nursing courses and complete the program in five quarters. Graduates receive a BS credential which makes them eligible for the registered nursing licensing exam and graduate study. The program of study may include classes in health promotion, pathophysiology, clinical pharmacology, chronic illness, acute illness, nursing leadership, population health, epidemiology, and nursing leadership. Students must complete clinical experiences in a variety of health care settings to develop the clinical skills to provide competent care. Enrollment requirements are similar to that of the traditional BSN. The student must provide documentation of completing a bachelor’s degree – transcripts of all courses with a cumulative GPA of 2.5 or above. A health exam, TB test, criminal background clearance, documentation of immunization, and drug screen may be required for participation in the clinical experience. Nursing students must have the full picture in order to accurately calculate the cost of a BSN degree. A snapshot of the tuition published on schools’ website does not reflect the full cost of attendance. In addition to textbooks, fees, materials, workbooks, and personal expenses, nursing students must budget for unique expenses such as uniforms, shoes, nursing supplies, liability insurance, transport to the clinical sites, and CPR. Admission is also costly as students may need to take an admission test, complete TB testing, a physical exam, and drug screen, and obtain background clearance. The number of credits needed to complete the BSN requirements will determine the total cost of tuition. Since RNs, LPNs and second-degree students receive advanced placement, the total cost of tuition will be less than those who need to complete four years of study. The average cost of tuition is $19,850 for Oregon residents. Financial aid, grants and scholarships will help to reduce out-of-pocket expenses.